Specialty Windows – Joyce Mfg. Co. Specialty windows add a personal and unique touch to your home. 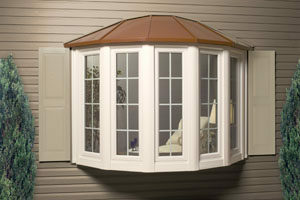 Select a bow or bay window to give instant expansion to your room and great curb appeal. 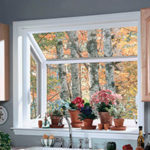 Maybe growing your own herbs or flowers is something you enjoy, then a garden window is perfect for you. Or, you just need that unique shape to capture the light and feel of your home then a specialty shaped window could be just right. 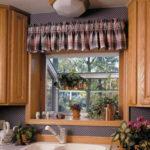 Give your home that special touch with Joyce specialty windows. 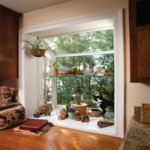 Bay and bow windows are classic options for large window openings and can change the entire look of your room. A bay or bow as a replacement window is the perfect answer for those who truly want to enhance the value of their home and create a very unique look. Custom made to fit your window size, bay and bow windows boast a maintenance-free vinyl exterior and interior available in either furniture-grade oak or birch veneer construction. 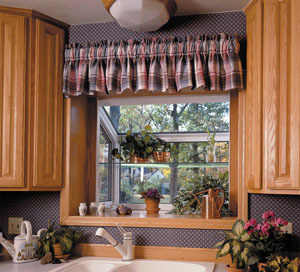 Use either Joyce’s casement or Double Hung Windows to achieve maximum ventilation. Twenty-eight painted aluminum roof colors are available in addition to authentic copper to truly customize your window. Seat options include durable Dupont™ Corian Interior or high density laminate. Recessed lighting can be added to the head of the Bay or Bow creating a subdued but elegant lighting scheme. Joyce’s Bay or Bow is more than a window, it is a piece of furniture that brings a view of the outdoors into you home. • 1/4″ Dupont Corian® seatboard is scratch resistant and impervious to water – ideal for displaying plants and flowers – available in six colors: cameo white, primrose, sandstone, beach, dusk, and malachite. The garden window is a unique replacement window option for those who truly want to bring the outdoors in. This window acts as a miniature greenhouse, providing a climate that encourages plants to thrive, even in colder seasons or climates. 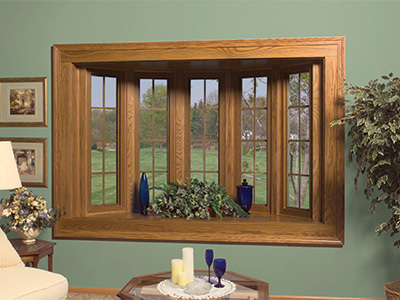 Custom made to fit your window opening, the garden window boasts a maintenance-free vinyl exterior and hardwood veneer interior. Aluminum-reinforced casement side windows feature easy-to-operate hardware and provide maximum ventilation. The mainframe profiles are foam-filled with high-density polyurethane for additional warmth. 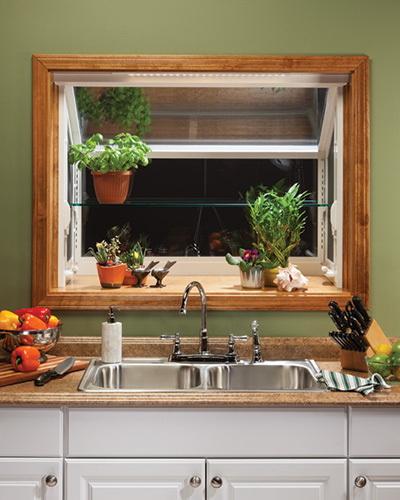 This beautiful window includes an interior shelf to hold extra plants. Also available is a corian insert for the sill of the garden window in 6 designer colors. Joyce offers custom architectural vinyl windows providing all the features you want—a greater variety of shapes along with grid, glass, and hardware options. 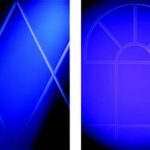 All of our window shapes, including but not limited to half-round, quarter-round, octagons, and eyebrows, are fully fusion welded and available in a variety of colors. 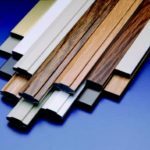 For thermal protection, we offer products that employ the most advanced glazing and weatherstripping techniques available. Adding a shape to a Joyce window is a great way to achieve a distinctive look to your home. 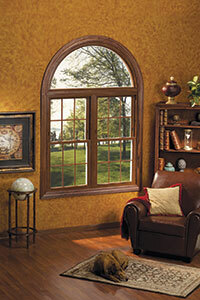 Our specialty shape windows are versatile and a great way to give your home that custom tailored appearance. on the entire unit, including glass seal failure. Also included is our relocation and natural disaster warranty which offers guaranteed price protection should you move to a different home or face damage due to a natural disaster. 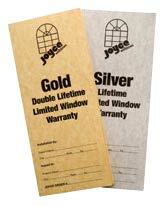 Upgrade to our optional Gold Warranty and get the added protection of full glass breakage.